Objective: the goal of this project is to implement a numerical system to perform real-time simulations of the Continental Shelf circulation. Summary: This is a R&D project which is funded by resources of partner Institutions who are interested on operational modeling in Santos Basin. Together with the project SOS-Oceans, it is one of the main initiatives within the Environmental Technology Division. The system under development is a Linux-based shell system that integrates the ocean model ROMS, the open source code for simulations of the ocean dynamics, the Oil Spill model developed in project SOS-Oceans and several bash scripts for downloading of files and implementation of the real-time simulations. At the end, the system will be able to produce real-time diagnoses of the ocean currents. Objective: the goal of this project is to develop a real-time system to detect oil spills in the ocean and forecast their trajectories. Summary: This is a R&D project which is funded by our own financial resources. It is one of the main initiatives within the Environmental Technology Division. 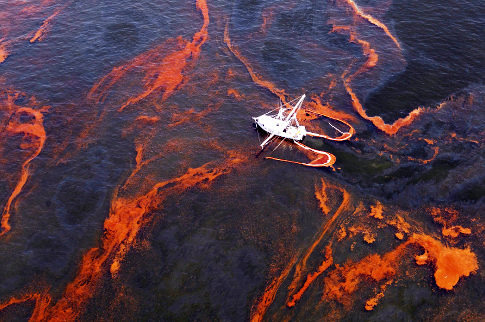 Oil spills in the surface of the ocean are detected by Radar and the Radar images are digitized, creating a digital oil spill which is then assimilated into an oil model. 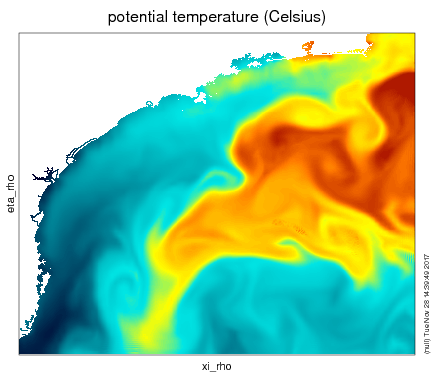 The oil model is fed by 3D ocean current forecast, produced by a local implementation of the ROMS model, allowing for the forecast of the oil spill trajectories in the next 7 days. 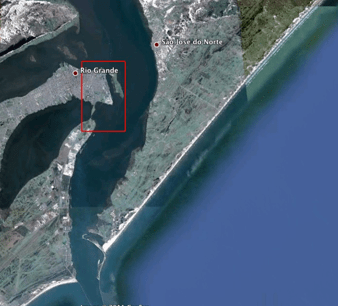 Environmental assessment of the sewage outfall to be implemented by CASAN on the beach of Campeche, Florianópolis, SC, Brazil. Objective: the goal of the project is to assess the risks and impacts of each of the proposed alternative locations for the sewage in Campeche beach. Client: CASAN – Sewage and Water State Company of Santa Catarina, Brazil. Summary: for this project, we were hired by POLAR, a subcontractor of CASAN. Our job is to run the numerical simulations of the circulation of the waters on the continental shelf off the coast of Campeche and dispersion of waste and coliforms for each of the 12 alternative locations of the outfall. 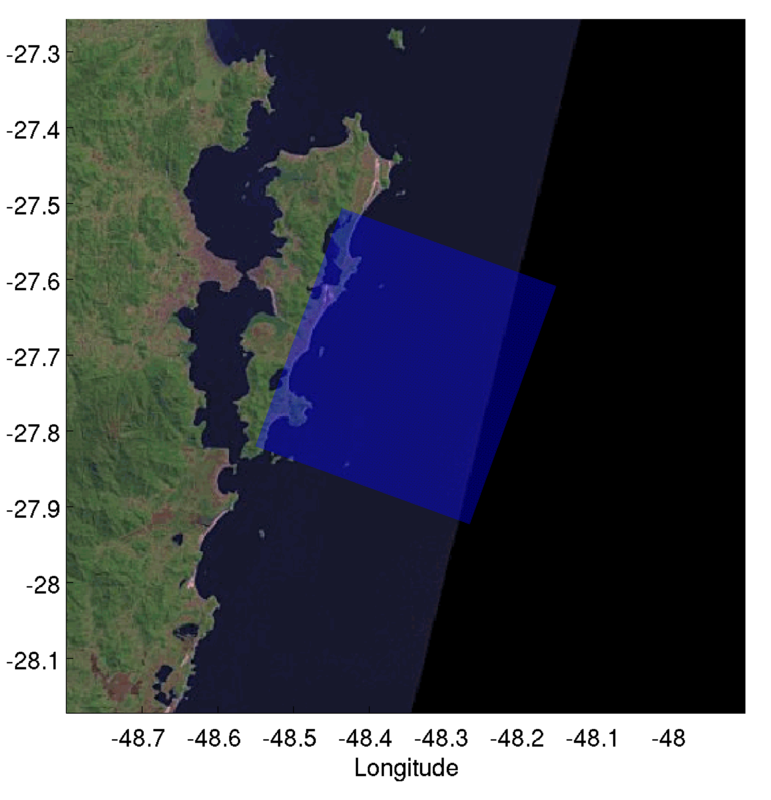 Water circulation and wind waves in Sepetiba Bay, Rio de Janeiro, Brazil. Objective: the goal of the Project was to investigate the impact caused on the waves, the currents and bottom sediments by the construction of a shipyard. 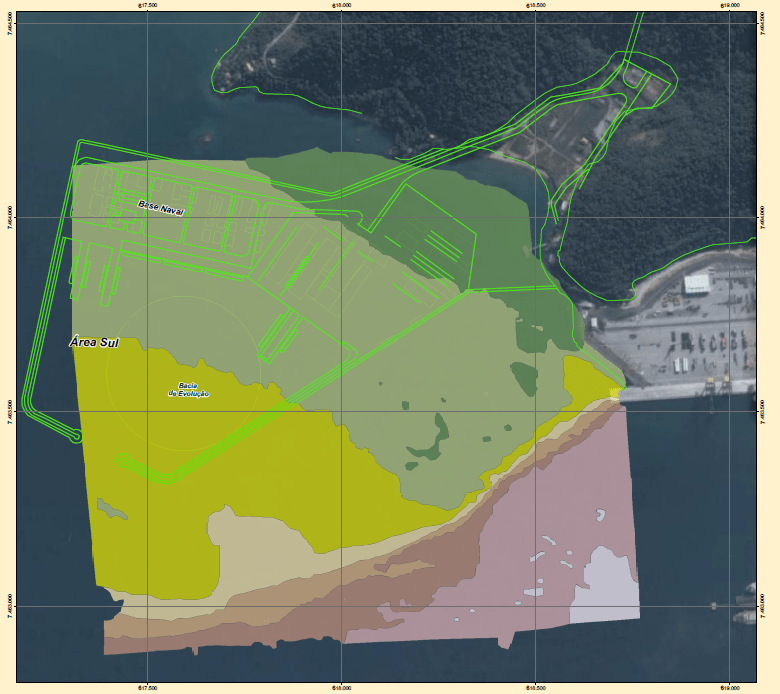 Sumário: for this Project, we were hired by MRS, a subcontractor of the Navy, to implement a wave model and a hydrodynamic model in Sepetiba Bay and run scenarios with and without the shipyard to assess the impact caused on the waves, the currents and transport, deposition and erosion of sediments. 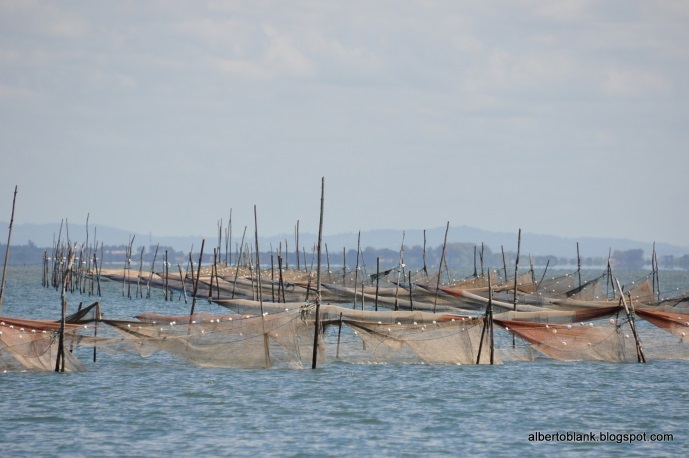 Shrimp abundance in the estuary of Patos Lagoon, RS, Brazil. Client: CBPO/Secretaria Especial de Portos (SEP). Summary: In this project the Atlantis Institute was hired by CBPO, the company responsible for the construction of the jetties, to evaluate if the enlargement of the jetties would alter the entrance of salt water in the Lagoon and so threaten the survival of larvae and the fishery of shrimp. 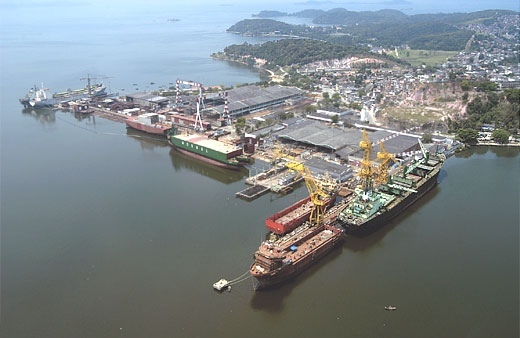 Environmental assessment of QUIP shipyard in Rio Grande Port, Rio Grande, RS, Brazil. Summary: for this project, Atlantis was hired by CTA, a subcontractor of QUIP, to execute numerical simulations of the ocean currents and the transport, deposition and erosion of sediments and understand the impact caused by the dredging of a navigation canal at the entrance of QUIP harbor. 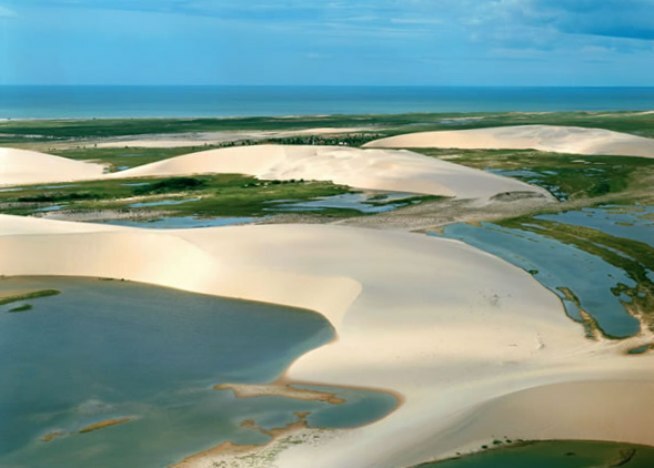 Management Plan for Jericoacoara National Park, Ceará: characterization of oceanography, meteorology and climatology. Summary: Atlantis was hired by ECOMEK, the company who won the bid made by Instituto Chico Mendes to elaborate Jericoacoara Park Management Plan. Our job was to describe the climatological, meteorological and oceanographic processes along the coast of Ceará, Brasil. Numerical modelling of waves and currents for the implementation of EISA shipyard in Coruripe. Summary: for this project, Atlantis was hired by Acquaplan, a sub-contractor of EISA and responsible for the environmental assessment. Our job was the implementation of ROMS model and simulation of scenarios with/without the shipyard, considering two alternative locations.